After a lot of begging from my eleven year old boy I finally agreed and started to plan our next family adventure – camping. For this activity, I knew Vermont would be a great option. But then the issue was, what about equipment? So I went to one of my favorite companies from the days when I was a camper in search of the perfect tent for my family. Luckily they had just what I we needed. Besides not being a huge fan of camping, another of the main reasons why I kept putting it off, despite of all of my boy’s requests, was not having a tent. If we were going to camp, I wanted the best of the best. Since I am no professional it was quite a challenge to figure out which one would be large enough, durable enough, comfortable and affordable. I have bought Coleman products before, for other outdoor activities. I decided to check out their tents. Other products have lasted years and years so they should be good, right? It became my go-to company when I finally said yes to taking my boys camping. You might be surprised to learn that it has been over 20 years since I last went camping. This also means that I haven’t done any research on tents for that amount of time. 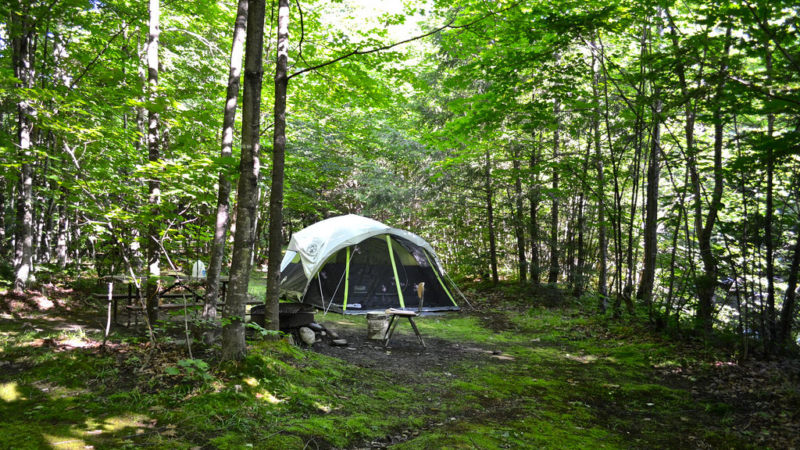 When I started my research, I could not believe how much the camping and tent market has grown and improved. Just looking at the amount of options from Coleman, I started to get really excited about our upcoming camping trip. Now the hard part was: which tent to get? Because I already knew about the quality of the brand, it came down to our needs. After a lot of discussion with my husband, we ended up deciding to get the Steel Creek 6 Person Fast Pitch Dome Tent with a Screen Porch. 1. Six person capacity – During our camping adventure in Vermont, my brother was also going to join us. A tent this size would allow us to be comfortable. 2. 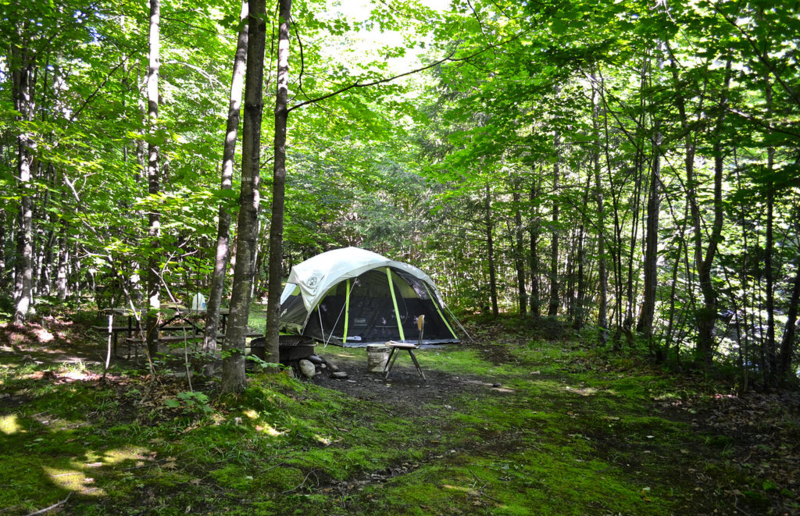 Screen porch – My husband and son have done some camping together, but so far they have had to rent tents. This gave my husband a bit more experience and he told me it was extremely important to have a porch to avoid having all the dirt carried in from the outside by the kids to where we sleep. 3. Fast Pitch – In all honesty, this wasn’t a characteristic I was looking for at first but when I heard about it I immediately got interested. From my days of camping I can remember how long and tedious the building of the tent took. 4. 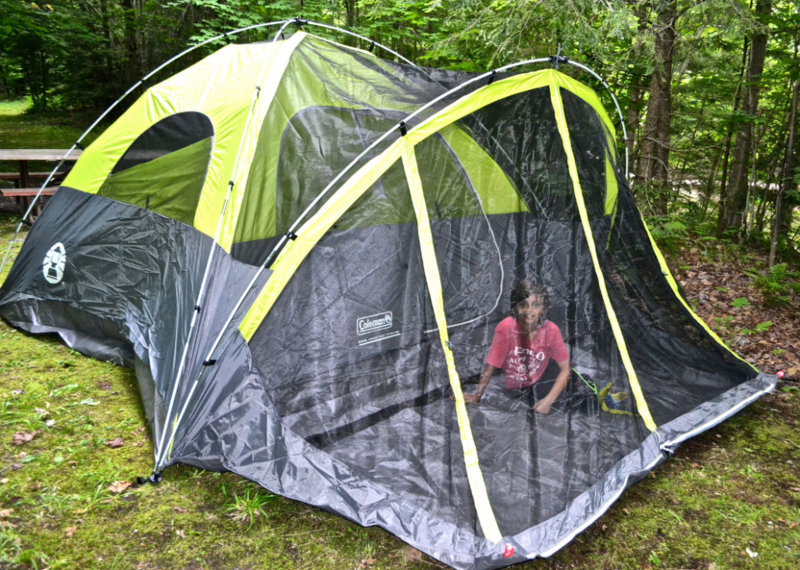 Durability and waterproof – I think this is kind of a given with all Coleman tents, but it was good to see it in print and reinforced. I must mention how grateful I am to have finally accepted to go camping with my family. I forgot how much it bonds families.